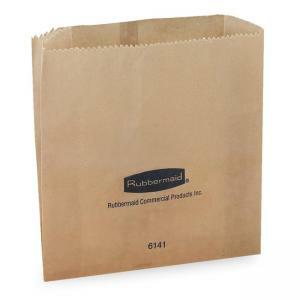 Wax bags are designed to fit snugly into Rubbermaid's Sanitary Napkin Receptacle. Made of 30 lb. clay coated Kraft paper with a wet wax applied. Does not contain latex.